Engineers Without Borders Australia is running a ‘hackathon with a twist’ in Queensland to produce a working hardware prototype to improve the quality of life for people with disabilities. People with disabilities often face obstacles ranging from a lack of safe building exits to not being able to reach tables or take part in work activities. This makes it difficult for them to participate fully in their communities. 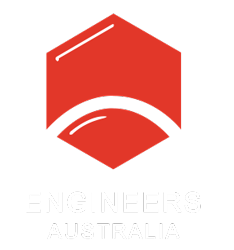 The Queensland chapter of Engineers Without Borders (EWB) Australia is running a three-day ‘makerthon’ that they hope will make a difference. During the event, engineers and other STEM students and practitioners will work with a community partner to understand these issues and develop practical solutions. Charlene Wong, event coordinator and former president of the EWB Australia Queensland chapter, said the event would be a two-way learning process where a conversation between designers and end-users drives the design process. “We’re looking for open-minded people who are interested in connecting technology with people,” she said. The three-day event will start on 17 August and include team-based practical activities including designing and pitching a hardware solution to a judging panel. The team that impresses the judges the most will move on to a post-event incubation with engineering entrepreneur Stephen Bornstein to build a working prototype to be trialled in the community. While EWB Australia has previously run a makerthon in WA, this will be the first time an event will deliver a prototype for use in the real world. “We are working with Stephen to incubate ideas and give back to the community partner by having a working prototype at the end,” Wong said. The makerthon event will be hosted by Substation 33 Social Enterprise, which will provide recycled e-waste for the teams’ prototypes. Substation 33 founder Tony Sharp described the facility as a place where people can experiment with making things from recycled materials. They repurpose “anything that has a plug attached to it”, Sharp said. “Last financial year we processed 156,000 kg of e-waste,” he added. Another role of the Substation 33 facility is to employ marginalised people to help them gain confidence and skills to transition to ongoing roles in the mainstream job market. While the makerthon will focus on solving challenges faced by disabled people in Australia, Wong explained the event was inspired by the EWB Australia Humanitarian Design Summit. This event places engineering students in developing communities for two weeks to develop empathy with those communities and design solutions that could help improve their quality of life. “We’re really passionate about giving more people a taste of the design summit so they can be inspired to get a real taste of humanitarian engineering if time and budget allow,” Wong explained. The community partner for the makerthon – Choice Passion Life (CPL) – has more than 70 years’ experience providing human-centred solutions for disabled people in Queensland and NSW. According to Fergus Mactaggart, EWB Australia’s coordinator of local partnerships (Queensland), CPL is very interested in working with engineers during the makerthon, as they believe that problems faced by people with disabilities are often overlooked but could be solved with modern technology. “It isn’t every day that a group of multidisciplinary students come together to solve problems for people with disabilities – it is a rare occurrence we are really excited to be a part of. We wanted to build that connection and inspire students and show them how rewarding it is to help those in need,” Mactaggart said. Wong emphasised that solutions will be developed in consultation with end-users to ensure they meet their needs. She added that the makerthon will reinforce the principle that, while the technical aspects of engineering and science are exciting, solutions need to first serve people and communities. “We are educating people about that connection,” she explained.